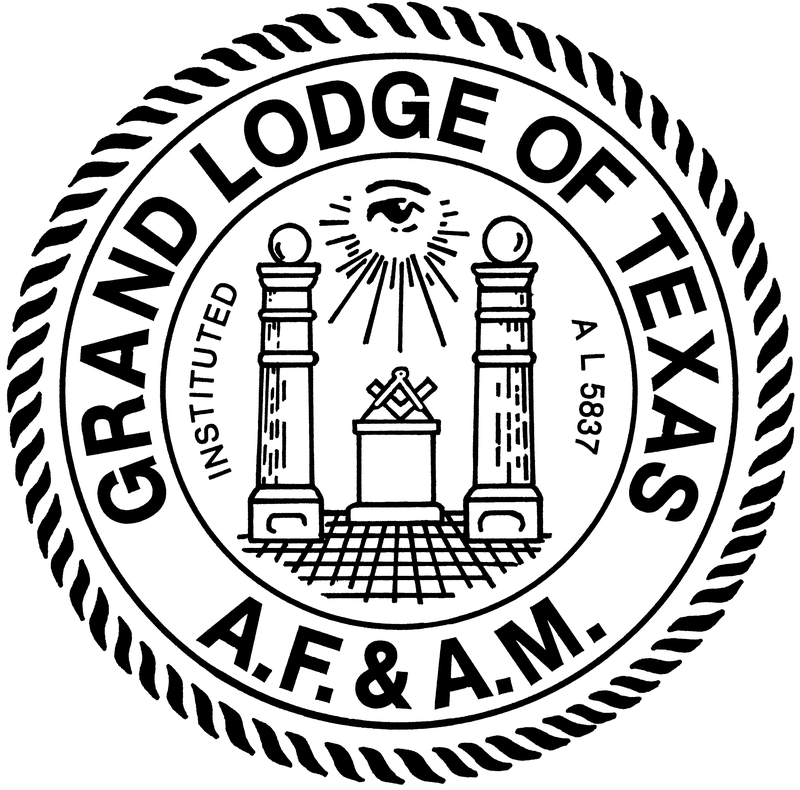 On December 5, 1987, Graham H. Childress became the fifth Mason from west of the Pecos and the one hundred and fiftieth individual to be installed as Grand Master of The Grand Lodge of Texas. 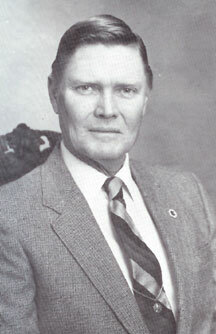 Our Grand Master, the only son of Hugh (deceased) and Rachael Childress, was born in San Angelo, on February 17, 1936. He is a fifth generation Texan and shares the heritage of Texas history through ancestral relationship to George C. Childress, author of the Texas Declaration of Independence. His father and both of his grandfathers were members of Ozona Lodge No. 747 where his father and one grandfather received 50-Year Masonic Service Awards. Most Worshipful Childress attended the Ozona public schools and graduated as salutatorian of Ozona High School in 1954. After graduating from Rice University in 1958, he was commissioned in the U.S. Navy through the Naval Reserve Officer Training Corps and was stationed in New London, Connecticut, to attend the Officer Submarine School. While in New London, he met the former Miss Marion Ward. They were married in 1960 and have two children, a daughter, Connie, and a son, Hugh Ward. Both Connie and Hugh Ward are graduates of Sanderson High School. Presently Connie attends business school in San Angelo and Hugh Ward attends San Angelo State University. In 1967, Grand Master Childress became a rancher in Terrell County and active in his church and community affairs. He served as a county commissioner for twelve years; he has served on the Terrell County Appraisal District Board of Directors; and continues to serve as a director of the Texas Sheep and Goat Raisers Association. He is past chairman of the Official Board and past treasurer of the Sanderson United Methodist Church where he serves as lay speaker. Raised a Master Mason in Sanderson Lodge No. 988, Grand Master Childress served as Worshipful Master in 1972-73. He received his first Esoteric Certificate in 1974 and has continued to retain his proficiency throughout the years. He served as District Deputy Grand Master in 1974-75; Grand Marshal in 1979-80; and Grand Orator in 1980-81. In addition, he has served as assistant regional coordinator for the Grand Master’s Regional Conference Program in the Alpine Region and was a member of the Grand Lodge Committee on Masonic Education and Service until his election to the station of Grand Junior Warden in December, 1984. Most Worshipful Brother Childress is an active member of the appendant orders of Freemasonry. 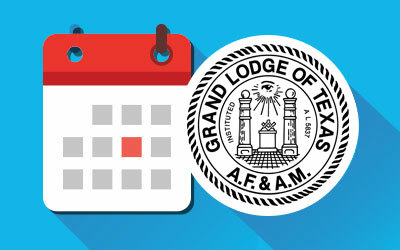 He is a past presiding officer of the chapter, council, and commandery in Alpine; past Sovereign of the Permian Conclave of the Red Cross of Constantine; a member of Texian York Rite College No. 60; member of the Texas Priory No. 23, KYCH; and served as Grand Prelate of The Grand Commandery in 1981 and 1985. 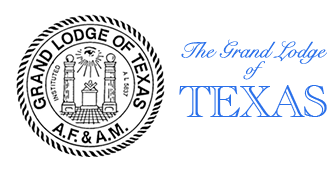 He is a member of the Scottish Rite Bodies in San Antonio and is coroneted with the thirtythird degree. He is a trustee of the Texas Scottish Rite Hospital for Crippled Children and a member of the Royal Order of Scotland. His memberships in other organizations include the Shrine, the Grotto, the Eastern Star, the Masonic Rosicrucians and the National Sojourner Organiztion. He was recently awarded the Honorary Legion of Honor in Alamo Chapter No. 58 of the Order of DeMolay. Our Grand Master is noted for his outstanding qualities of leadership in community, church and Masonic endeavors. Truly, he has earned our respect and admiration. And we rest assured that Masonry in Texas will be enriched and advanced as our Most Worshipful Brother Childress leads our fraternity in this Masonic year.